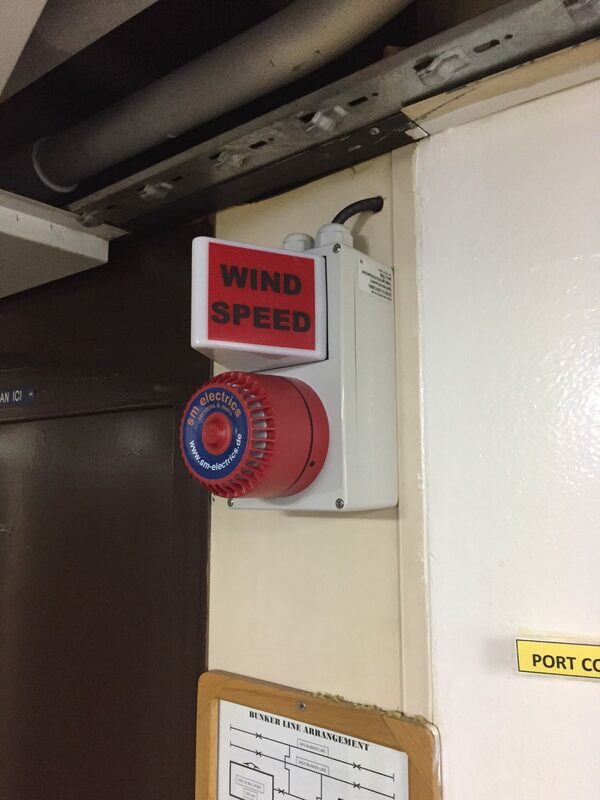 E.1a Vessels MUST be fitted with an anemometer display or monitoring repeater in the CCR with the capability to record (paper or digital) wind speed and direction, and designed to be capable of setting a minimum of two desired wind speed limits with audible and visual alarms in the CCR and on deck if the set limits are exceeded. In order to comply with above we are able to use the OMC-140 Multifunctional TFT display which is provided with the capability to mount an SD-card and thereby record the wind data and program the two required wind speed limits. We use the display and build it into a small box. This box provide alarm outputs to a signal device with a audio/visual sounder for CCR (and deck) in order to supply a complete system.